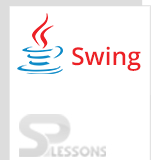 Abstract classes can be called as Swing Events Adapters for receiving various events. 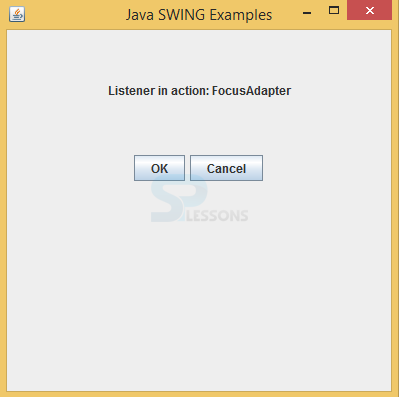 An Swing Events Adapters class gives a default implementation of all methods in an event listener interface. These classes are utilized while processing few of the events. Following are the frequently used Swing Events Adapters. It is utilized to receive keyboard focus events. Following is the code to gain the focus or lost the focus. When click on ok button following alert will be displayed. 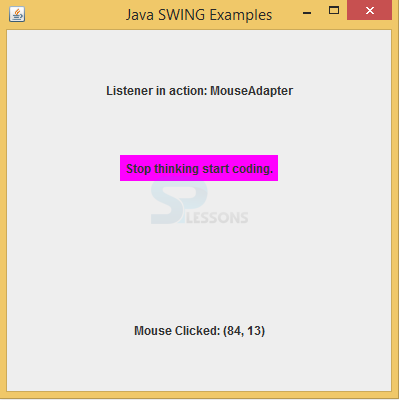 This is utilized to receive mouse events and all methods of this class is empty. = new JLabel("Stop thinking start coding." The void mouseDragged(MouseEvent e) Invoked when a mouse button is pressed on a component and then dragged and void mouseMoved(MouseEvent e) Invoked when the mouse cursor has been moved onto a component but no buttons have been pushed. Following is the code for the mouse clicked action. When compile the code following is the output will be displayed. = new JLabel("Welcome to SPLessons." The void mouseDragged(MouseEvent e) Invoked when a mouse button is pressed on a component and then dragged and the void mouseMoved(MouseEvent e) Invoked when the mouse cursor has been moved onto a component but no buttons have been pushed. WindowAdapter class is an abstract for retrieving window events and methods of this class are empty. 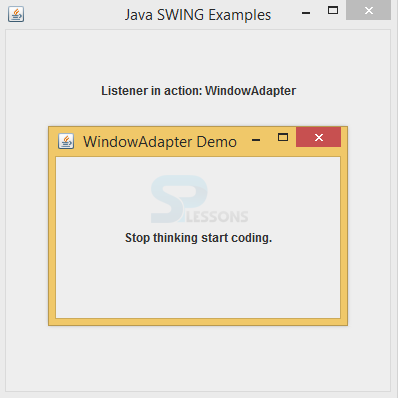 The class WindowAdapter is an abstract (adapter) class for receiving window events. All methods of this class are empty. This class is convenience class for creating listener objects. The void windowGainedFocus(WindowEvent e) Invoked when the Window is set to be the focused Window, which means that the Window, or one of its subcomponents, will receive keyboard events. 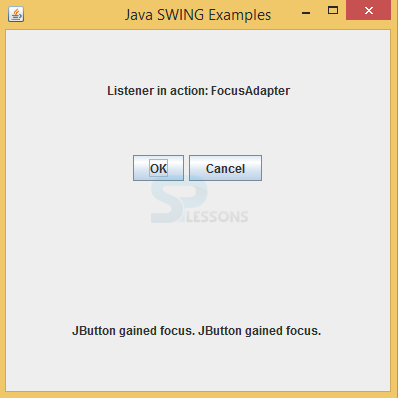 Swing Events Adapters are utilized to receive the input events from the keyboard. void mouseDragged(MouseEvent e) method will be invoked when button is pressed.